Myth Roast: If Something Can't Come From Nothing, Then Who Created The Universe? If Something Can't Come From Nothing, Then Who Created The Universe? To say it came from nothing would be absurd, right? Of course it would, but would it be sensible to say that there must have been a mind behind it, or would that be equally as absurd? To say that because you can't get something from nothing, the only conclusion is that it had to have been intelligently designed, that is called a false dichotomy, or false dilemma. 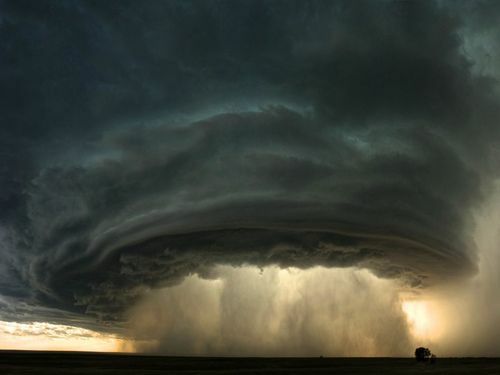 In ancient times, before humans had knowledge of the behaviour of warm and cold air, air pressure, precipitation, etc, it seemed perfectly sensible to them to assume that a thunderstorm was the manifestation of the gods since there was no other explanation available. This may seem ridiculous to us now, but we do still hear claims of the very same false dichotomy being made today. Just as our distant ancestors didn't understand the physics of meteorology, we do not yet understand the causes behind the existence of our universe. Claims are continually being made that because something can't come from nothing, then the only other explanation is intelligent design. This is a false dichotomy saying it has to be one or the other and deliberately leaving no room for further exploration of what may have preceeded our universe as we know it. But You're Not A Scientist!